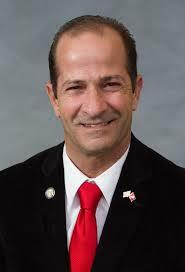 WataugaWatch: NC House Member to Governor: "Your Comments Are Sophomoric"
What's really funny about #NCGOP is that they OWN IT ALL - and the fighting is as extreme as if they are Dems and Republicans going at it. They are the worst leaders I've EVER seen - party of small government doing land grab after land grab. Tomorrow, Boone ETJ has its day in court - we'll see what the courts say about Soucek's dangerous desire to make state government legislate local issues.